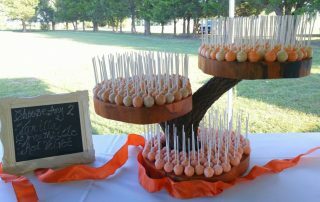 We specialize in catering desserts for weddings and large events. 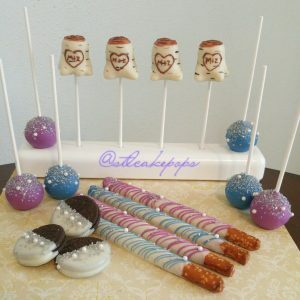 Cake Pops make the perfect bite-sized treat and can serve as a table decoration or party favor. 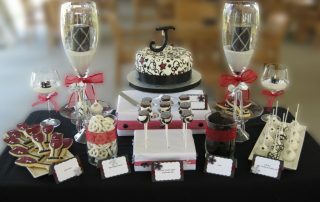 We start with a one-hour meeting, where we will discuss your colors, theme, options, budget, pricing, and everything else in between. 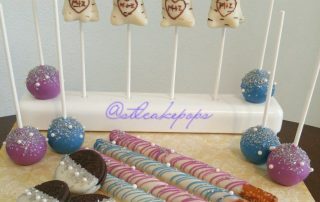 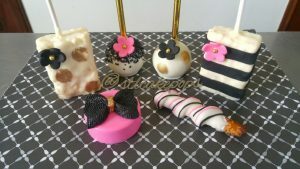 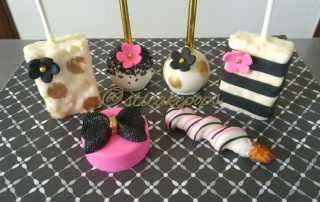 The Bride and Groom-to-be or Party Planner will taste 5 flavors of cake pops. 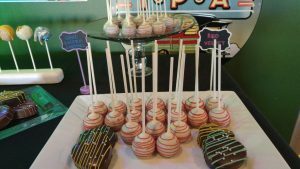 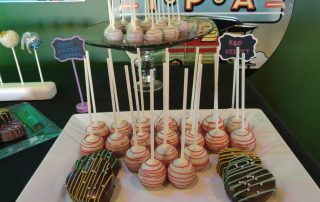 Our standard flavors include Vanilla & Chocolate; you then get to choose 3 other flavors from our Cake Pop Flavors or Truffle Flavors. 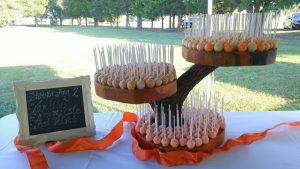 We have a variety of stands, cake plates, and setups available for rent. 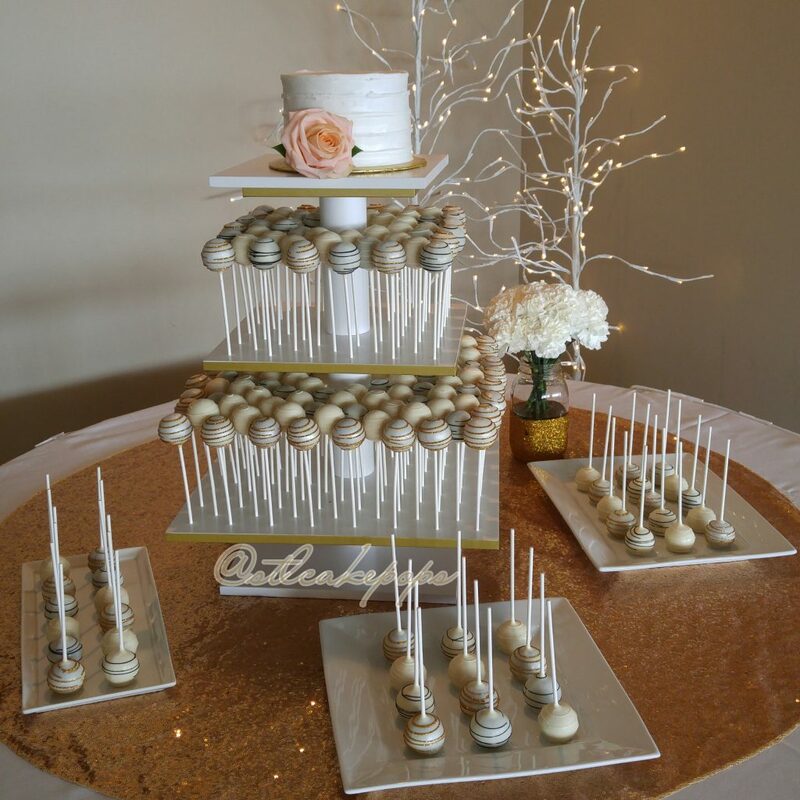 We require a 20% non-refundable deposit of your projected final cost to book your date with us. 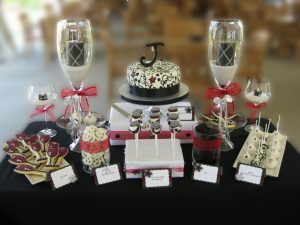 Final payment is required 30 days before your wedding date.